The Vienna Gas Fire Pit is a perfect conversation piece for your back yard! 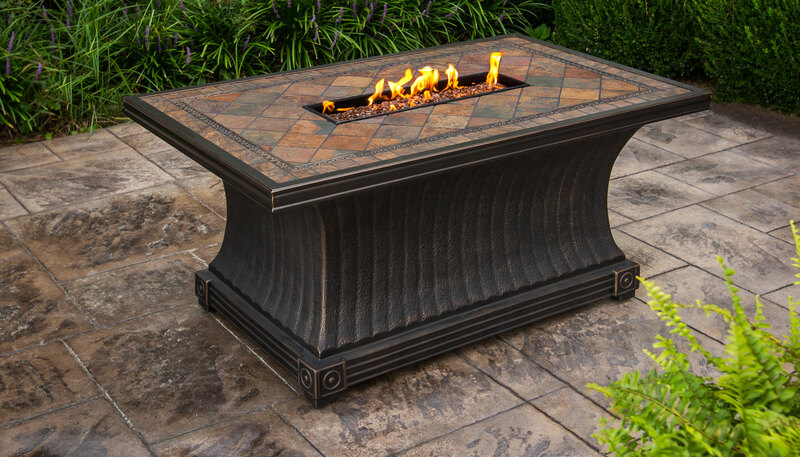 This fire table is a great addition to a seating set that will provide functionality in the daytime as well as warmth and ambiance into the evening hours. With the addition of our optional Fire Glass (sold separately) you can catch the brilliant reflection of the midday sun, or create a shimmering reflection of magnificent flames in the evening. The Vienna Gas Fire Pit produces up to 40,000 btu’s. Hidden Control Panel - High / Medium / Low. Electronic Ignition.